Archer Airguns customer Ron R. was disappointed that his QB78 Repeater was not fitted with open sights. The latest batch of .22 caliber QB78 Repeaters is fitted with 15mm diameter barrels and muzzle brakes, instead of 14mm barrels and open sights. 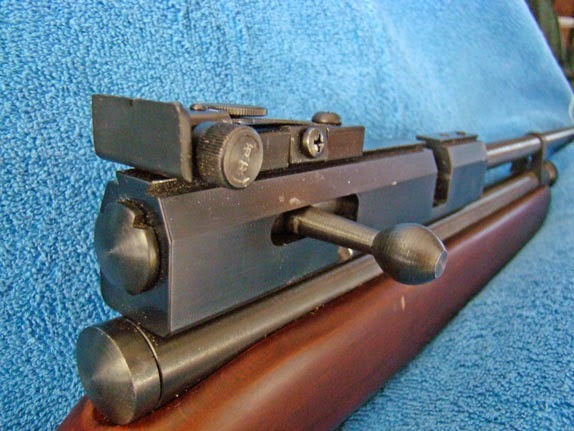 So he decided to install an Industry Brand Rear Field Sight on the Repeater breech and a QB78 Deluxe fiber optic front sight on the muzzle brake. 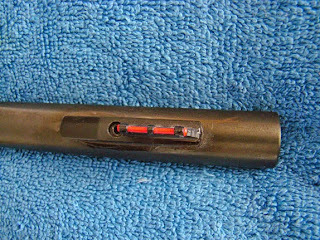 As neither of these parts is an exact "drop in" fit, Ron made a little project of this, with good results as you can see. 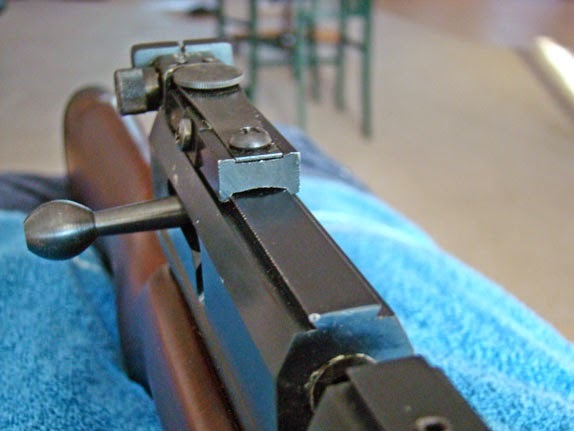 The Rear Field Sight required some work with a triangular needle file so that it would fit the contours of the QB78 Repeater breech. 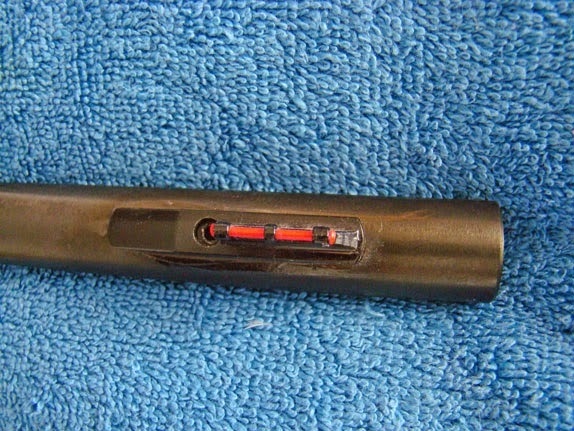 For the front sight, Ron used the technique shown in this YouTube video, http://www.youtube.com/watch?v=sBHOay8TAiI but applied it to the front sight matching the muzzle weight, instead of a rear sight to the breech as shown.